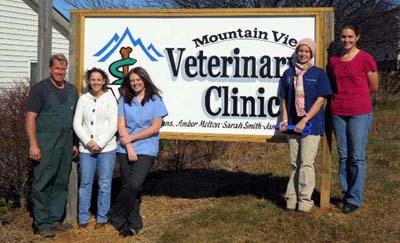 Mountain View Veterinary Clinic is a full-service large and small animal care facility. All our patients receive timely, effective, and affordable treatment by our professional staff of doctors and technicians. Our new facility and medical equipment allows us to offer the best possible care for your pets and livestock. Stop by and check out all the great items that we have to offer at super low prices. New items are added weekly. 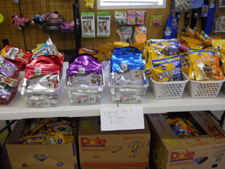 We have canned dog and cat food as low as $0.25/can, assorted dog & cat treats $1/bag, dry cat & dog food $2/bag, $3 collars, $5 leashes, food dishes, litter boxes, pet clothing, hairbows, and much more! Print your registration and surgery forms here. Your pet's health is our priority. From routine wellness and preventative care to an emergency surgery, our friendly staff will ensure that you are provided the information necessary to make the best decisions for the welfare of your animals.